The Garden Stone Outdoor Clock by FirsTime & Co.® is sure to be an eye-catching piece that goes well with any outdoor space. 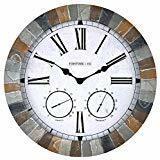 The clock features a faux slate finish in attractive neutral colors. Not only does it tell time, but it also includes a thermometer and hygrometer. The Hanging Wall Clock with a Thermometer and Hygrometer from Lily's Home is designed to work both indoors and outdoors and has been crafted to be weather resistant, whether rain, or snow, sleet, or sun! 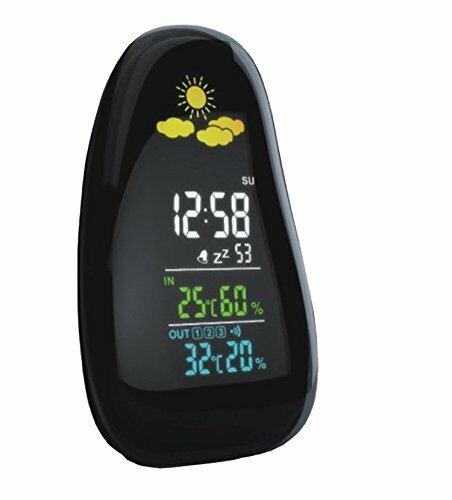 The built-in thermometer can measure temperatures from -60º to 120º Fahrenheit while the hygrometer can measure humidity from 0% to 100%. 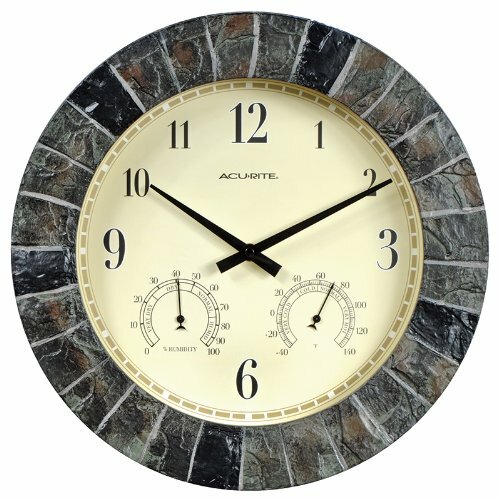 Framed by a durable stone replica construction, it resists the elements and makes this clock combination fantastic for any room, patio or garden. Measuring 14" and operated by 1 "AA" battery (not included), mounting is easy with an integrated hang hole in the back. Lily's Home offers beautifully designed clocks, dishware, garden decorations, and more to add a touch of style to any home. Whether you're looking for a statement piece for your living room or looking for a way to add more color to your garden, Lily's Home has just what you're looking for! The Hanging Wall Clock with a Thermometer and Hygrometer from Lily's Home is designed to work both indoors and outdoors and has been crafted to be weather resistant, whether rain, or snow, sleet, or sun! The built-in thermometer can measure temperatures from -60º to 120º Fahrenheit while the hygrometer can measure humidity from 0% to 100%. 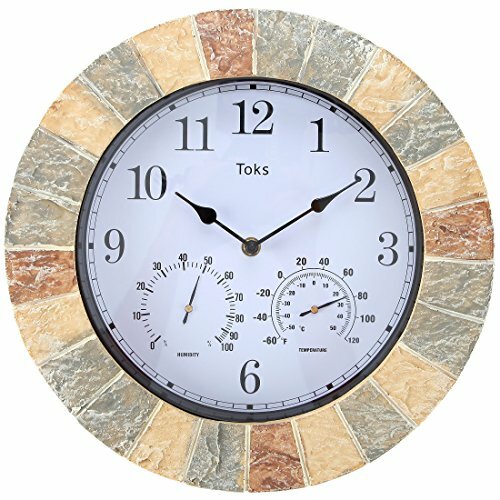 Framed by a durable stone replica construction, it resists the elements and makes this clock combination fantastic for any room, patio or garden. Measuring 10" and operated by 1 "AA" battery (not included), mounting is easy with an integrated hang hole in the back. Lily's Home offers beautifully designed clocks, dishware, garden decorations, and more to add a touch of style to any home. Whether you're looking for a statement piece for your living room or looking for a way to add more color to your garden, Lily's Home has just what you're looking for! 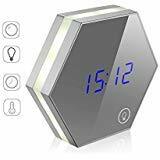 This wall clock features built-in temperature and humidity gauges that allow you to check comfort conditions at a glance. 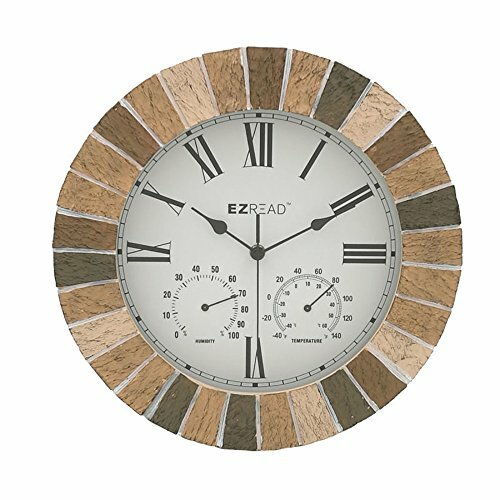 Durable stone replica construction resists the elements and makes this clock combination perfect for any room, patio or garden. One-year limited warranty. It's more than accurate, it's AcuRite. 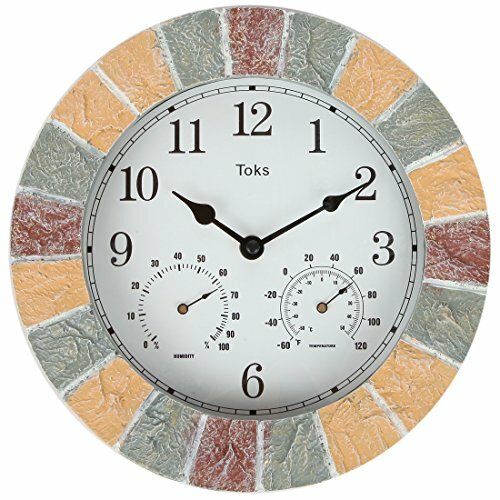 Complement your home or garden with the 14" Taylor poly resin clock with thermometer. The Terra Cotta stone design has an earthy feel, perfect for indoor & outdoor décor. The vibrant hand painted design is UV & fade resistant. Precision made coils measure temperature readings from -60°f to 120°f & the clock is accurate & easy to read. 1 AA battery (not included) is required for the clock function. This desk accessory is made of natural obsidian rock, which came to it during a long time of master`s labor. This useful gadget is made to order and we need about 10 days to make it. 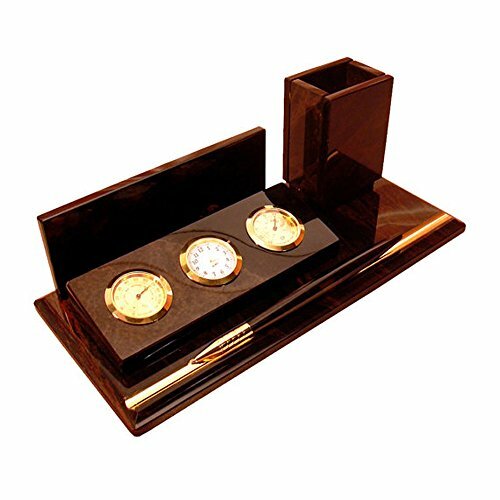 This amazing gadget includes clock, thermometer and hygrometer, paper or business card holder and pen holder. Also we can print almost any image or inscription on it for individual gift giving and costs $10. STONE TEXTURE MAY BE DIFFERENT FROM THE PICTURE. Dimensions: 27*13*10 cm. We ship orders with EMS, delivery time may take from 7 to 40 days depends on country we ship and we provide with tracking number you can check your order status any time. Money back guarantee is for 40 days starting from shipping date. Before ordering please carefully read our policies. If you have any questions about this organizer, please don`t hesitate to ask. 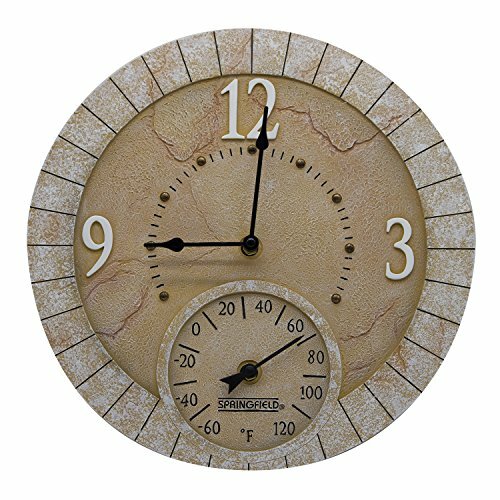 Headwind Consumer Products 850-0052 Clock/ Thermometer/ Hygrometer Polyresin Stone 14"
Shopping Results for "Clock Thermometer Stone"